The Tiffany Network seems to be smitten with “Celebrity Editions”. Earlier this year, they launched Big Brother: Celebrity Edition and now, they’re launching Undercover Boss: Celebrity Edition. The network has announced that the Undercover Boss spin-off series will launch on Friday, May 11th, at 8 pm ET/PT. Four episodes have been announced but more are expected to follow. On the new CBS show, in-disguise celebrities will go undercover to find talented people in their fields and help them realize their dreams. 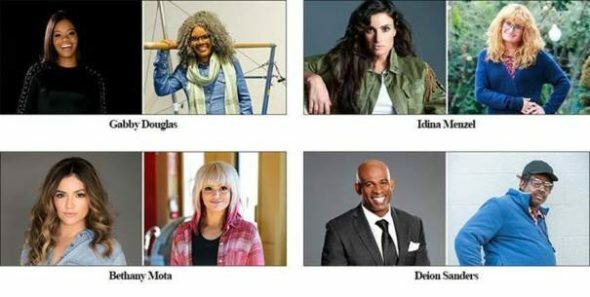 The first four participants are Olympic gymnast Gabby Douglas, Broadway star Idina Menzel, YouTube star Bethany Mota, and Pro Footballer Deion Sanders. Two celebrity installments of the regular Undercover Boss aired last year. They featured musician Darius Rucker and chef Marcus Samuelsson. ·	Gabby Douglas – Two-time U.S. Olympic women’s gymnastics team member, three-time Olympic Gold medalist, a two-time New York Times bestselling author and one of the most celebrated Olympic gymnasts of all time. Douglas goes undercover to discover incredibly gifted gymnasts and coaches. ·	Idina Menzel – Tony Award-winning iconic Broadway star and multi-platinum recording artist and actress, who is celebrated for singing “Let It Go,” the international phenomenon from the animated feature film “Frozen.” Mendel goes undercover to find Broadway’s next amazing talents. ·	Bethany Mota – YouTube sensation and author with more than 12.7 million subscribers and over one billion views, who is one of the most powerful and inspiring voices in social media. Mota goes undercover to identify up-and-coming YouTube talent. ·	Deion Sanders – Pro Football Hall of Famer, eight-time Pro Bowler, two-time Super Bowl champion and current NFL Network analyst who was one of the most electrifying athletes in the NFL and MLB. Sanders goes undercover to find amazing football coaches. What do you think? Do you like the sound of this new show? Do you plan to check out Undercover Boss: Celebrity Edition on CBS? More about: CBS TV shows: canceled or renewed?, Undercover Boss: Celebrity Edition, Undercover Boss: Celebrity Edition: canceled or renewed? Undercover Boss: Cancelled or Renewed for Season Nine on CBS? I mean, I was happy with the couple of episodes where they featured celebrities but, I’d be happier if the original would come back.